FTSE 250 company RPS turns over £600M a year and employs 5000 staff. 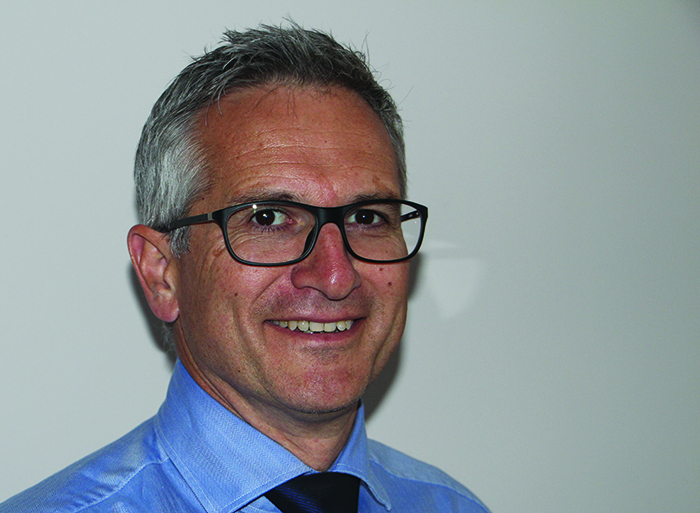 Its commercial director for built and natural environment, Europe – Andy Young, tells us about the firm. RPS is well known for its environmental consultancy. How big a focus does the business have on sustainability and carbon reduction? Good question. Sustainability often gives the impression of maintaining the status quo but “reduction” is the main word here. Clearly we only have the planet we live on and with a growing population we have to reduce our consumption of energy and reduce human impact to our environment. As a large environmental consultant this is core business for us. What are you doing in those regards? that the world needs a mix of energy sources and RPS provides advice which is science based and environmentally sound. That is a tricky one! I have heard clients describe us as a major international multi disciplinary consultant, while others have described us as a boutique consultant. The answer is that we are what we need to be and what our clients need us to be. Our range of staff embrace science, art, and humanities so the result is we undertake a spectrum of projects of all sizes across every sector – that keeps our staff interested and enthusiastic. Outside of work our staff often pull together to show incredible commitment of effort and self sacrifice to support both their own and our nominated charities. What current projects best represent RPS? I always like it when we can provide a one stop shop for a client who perhaps has limited resource but a complex project. Guernsey Airport was a great example of this where we undertook the planning and environmental commissions to gain consent for the reconstruction of the airport’s entire airside infrastructure. We then did the engineering design, on site supervision and project management of the complete runway realignment and reconstruction. We even had to gain permission for the local port to be expanded to deliver plant and raw materials that were not available on the island. I sit on our European board for Built & Natural Environment and have responsibility for seeking out new markets, developing our future work streams and integrating a large and very diverse business with the aim of increasing turnover and profit. Although we are a large business, the speed at which we can adapt to new challenges can be extremely rapid. For me, I think looking at new business streams has got to be a highlight. Getting to understand the economic and political drivers of a new sector, finding out what these new clients want and then corralling a team to deliver is both exhausting and rewarding. What are your biggest challenges/opportunities at the moment and why? Challenges change all the time. During the last couple of years or so, our focus was on ensuring we had enough work to keep our staff busy and be in a position to respond to the marketplace when the economy eventually picked up. This year, expansion is the largest challenge. A lot of skilled professionals have left the industry over the last few years of recession and as more project opportunities arise I believe maintaining sustainable growth will be the largest challenge for the whole industry. Our planning and development and infrastructure businesses are firing on all cylinders again. Residential, retail and manufacturing all seem to be throwing up good opportunities. Energy and transport remain a big focus. What are the best things about working with RPS? Without doubt, the best thing is the diversity of work. This week I have been working on projects relating to highways, distribution logistics, HS2 and environmental reports for shale gas – boredom is never an issue. We provide over 260 discreet services ranging from planning & environmental services, through design activities such as engineering and architecture, but also occupational health, risk services to the nuclear industry and through a recent acquisition have now a significant heritage business. Bringing these often discreet services together on one project shows our potential to provide a really comprehensive service to our clients.